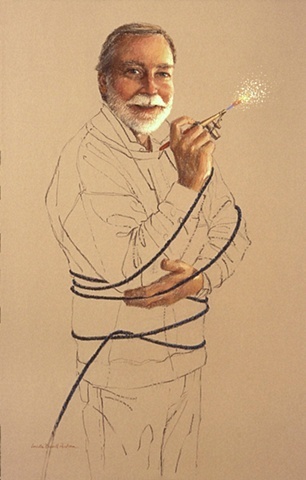 Jim, an airbrush painter of nudes wrapped in ribbons. In 'Have Air Will Paint', I depict a fellow artist whose art is very provocative and uses airbrush. I painted him bound up by his hoses.